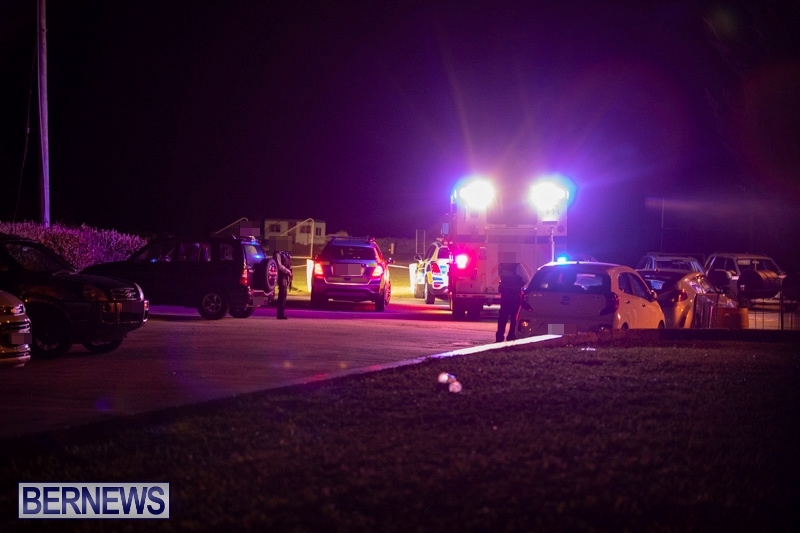 [Updated] Emergency services responded to a shooting incident early this morning [Dec 29] at the St. David’s Cricket Club property, where Bernews unofficially understands, a man has been shot and transported to King Edward Memorial Hospital by ambulance. Multiple police vehicles and armed officers can be seen in the area. Further details are limited at this time, however we will update as able. 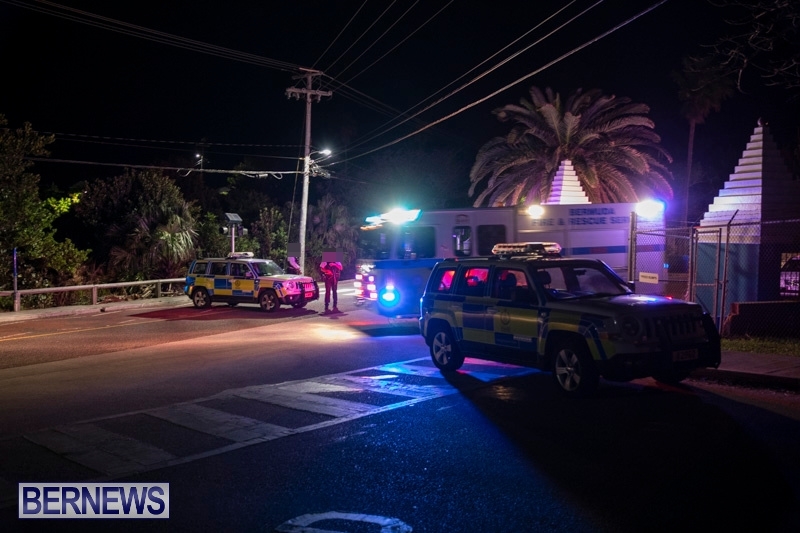 Update 3.00am: A police spokesperson said, “Police responded to a report of a firearms incident that took place at 1:40am in St Davids. “Upon police arrival it was ascertained that a male was standing outside of the St. Davids Cricket Club when a man walked up and shot him. “The suspect left the area and the victim was taken to the hospital via the ambulance and his condition is unknown at this time. “The area has now been cordoned whilst the scene is being processed. Update 7.47am: A St David’s County Cricket Club spokesperson said, “The Executive Management of the St David’s County Cricket Club Inc. would like to express their sincere regrets to the incident of antisocial behavior that took place at our facility during the early hours of Saturday December 29th 2018, during our annual Christmas Party which has ultimately resulted in one of our patrons being sent to hospital. “Our hearts and minds are currently on those who have been impacted negatively by this event. The Executive want to encourage everyone no matter what part of our great island you may reside to join us in directing prayers and positive thoughts to the recovery of the injured young man and to the comfort of his family. “The Executive wants to ensure the public that the safety of all that visit our facility is always paramount. We take violent events such as these very seriously and we made sure that every possible security measure was in place. “Please note that after the event was made known, the management along with the hired security company and some very fast acting patrons immediately engaged in appropriate protocols by making sure the authorities were notified, the injured young man was receiving medical attention and the remaining patrons were safe. Our event stopped immediately and the venue was closed. “The Executive Management of the St David’s County Cricket Club Inc. and its Membership will not tolerate any antisocial behavior at our club or in our community. We will continue to strive for the safety of all patrons that come to our facility; that come to our home. “We want to take this time to thank everyone for their fast thinking during this time of crisis. We are especially grateful for the fast response of the members of the public that immediately administered medical attention. “As always, we look forward to welcoming the general public to more positive community-based events at our facility. Please be assured that we are assisting the Bermuda Police Service regarding this incident to the fullest of our ability. Update 8.09am: A police spokesperson said, “The shooting victim is in gravely critical condition. Anyone with any information is urged to contact the Serious Crime Unit on 295-0011, or the independent and confidential Crime Stoppers hotline on 800-8477″.